We're on wine country time this Friday - everything is slow and easy! We love California and all the trendsetters that bring cool across the country. It always seems to take a few years, but the South is catching up. Trends are headed to funky new color palettes like mustard and white and brides are getting fearless about blending personal style with their wedding vibe - insert a badass skull mount installation. 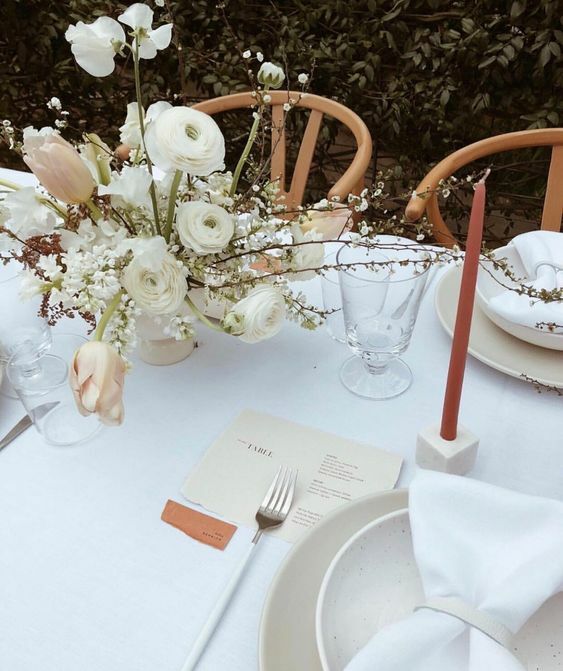 Those mustard napkins and funky bud vase combo - love all the texture. That fork placement makes this place setting so much more interesting. Make sure to follow us on Pinterest for daily inspiration!